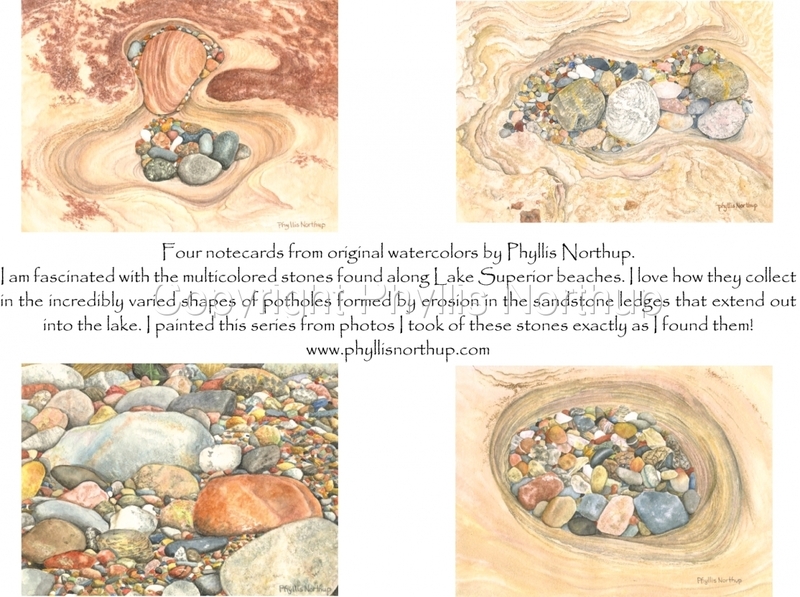 Set of four notecards with envelopes featuring the beach stones of Lake Superior. From original watercolor paintings.Price includes shipping. Temporarily sold out.